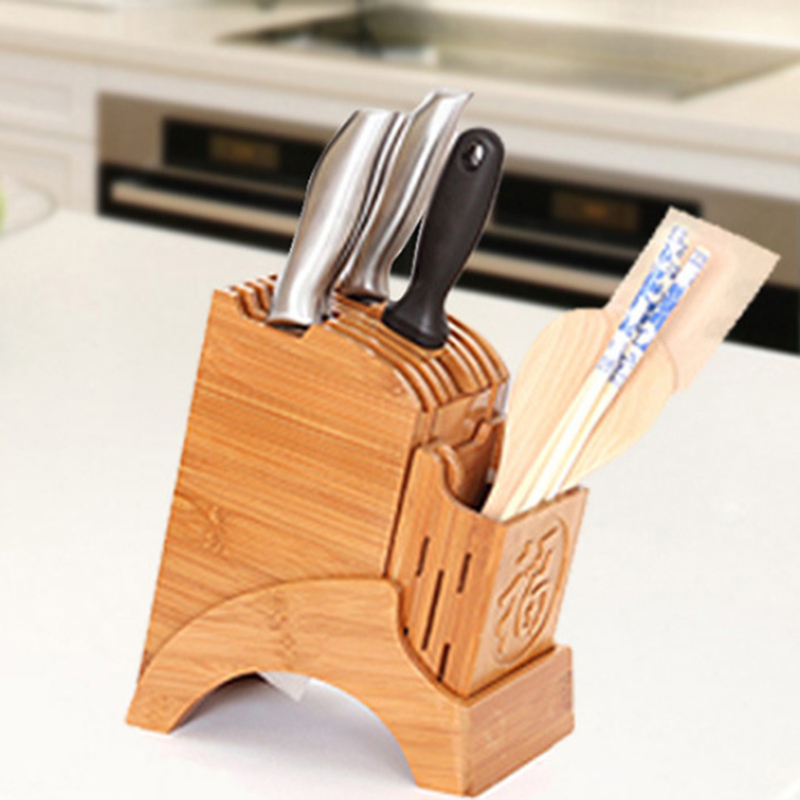 Made of high-quality natural bamboo material, durable and healthy to use. The storage rack has been carbonized process, is more solid. Unique storage rack with Fu character pattern is attractive, delicate but practical to use. A good helper to make your kitchen neat also can prevent kids from being cutting by the randomly placed cutters. This storage rack with a small case to store tableware is convenient to use in the kitchen. The rack with “Fu” character that means good luck, blessing or happiness is a good choice for household or a gift to your friends or relatives. Not only for storage of cutters but also can drain and prevent bacterial growth. Nice for the home or restaurant kitchen use.